I am a member of a couple of beauty related groups on Facebook and I kept seeing posts about a website called Cohorted where you can get makeup at a reduced price as you are buying as part of a group. 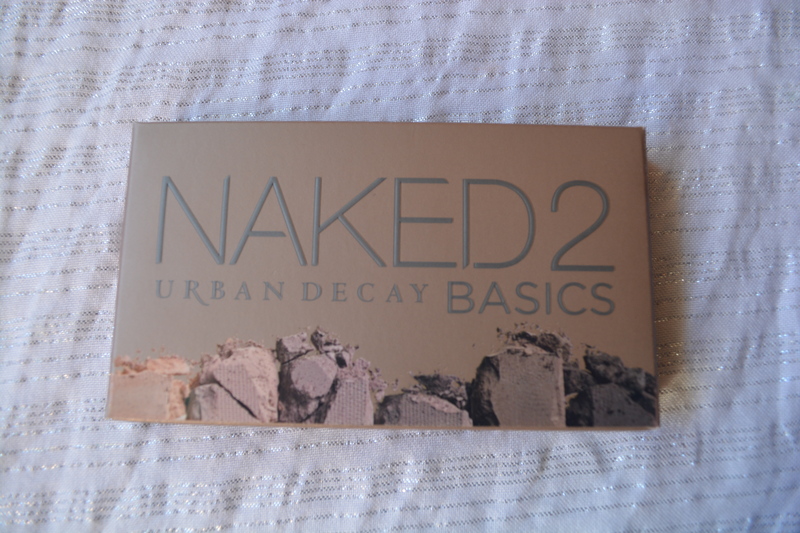 I thought I would have a quick browse and saw they had the Urban Decay Naked Basics 2 palette as one of the deals so I snapped it up. 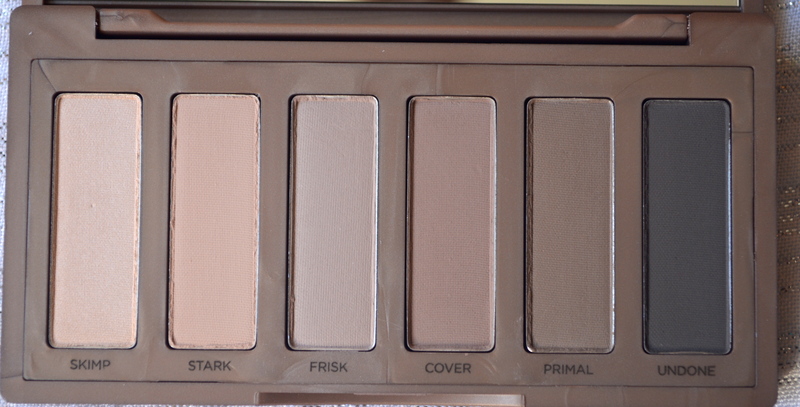 I am already a fan of all the Naked palettes and I was hoping that this one would be no different. 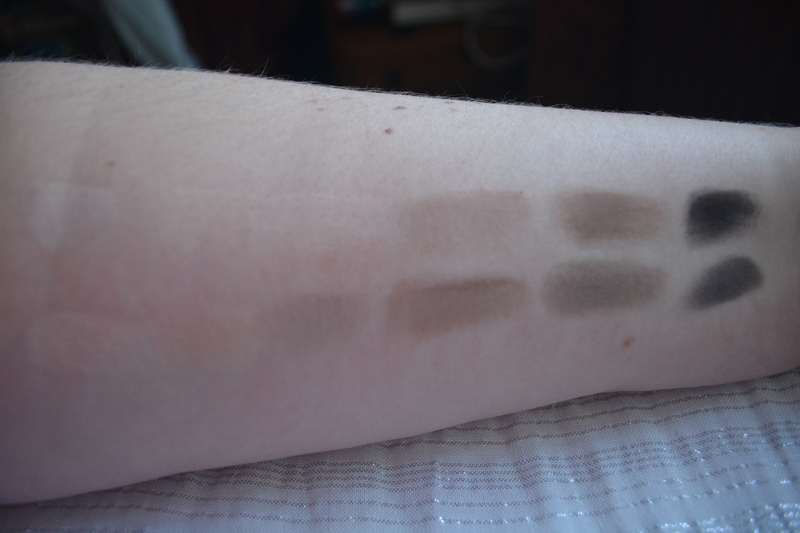 I have included comparisons with the first Naked Basics palette for those of you who may one want to purchase one of them. 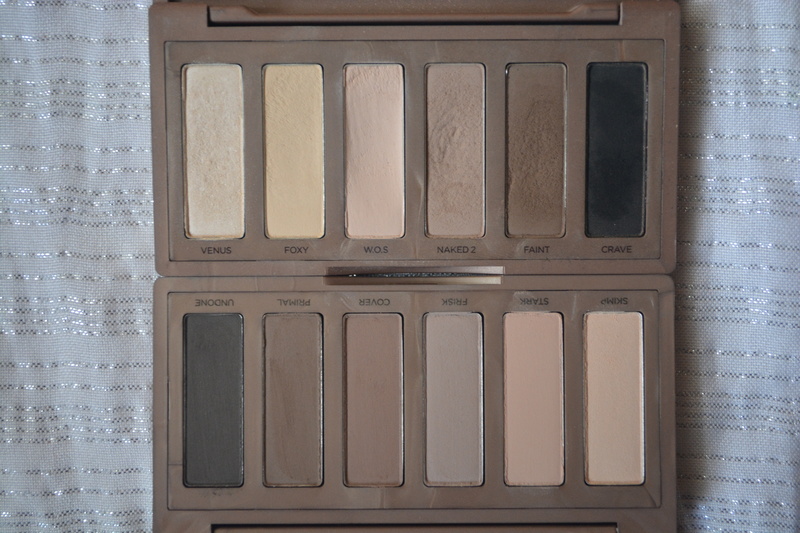 The eyeshadows come packaged in the same size palette as the first Naked Basics. I love the packaging as it is sturdy and the perfect size for travelling or popping in your makeup bag on the go. 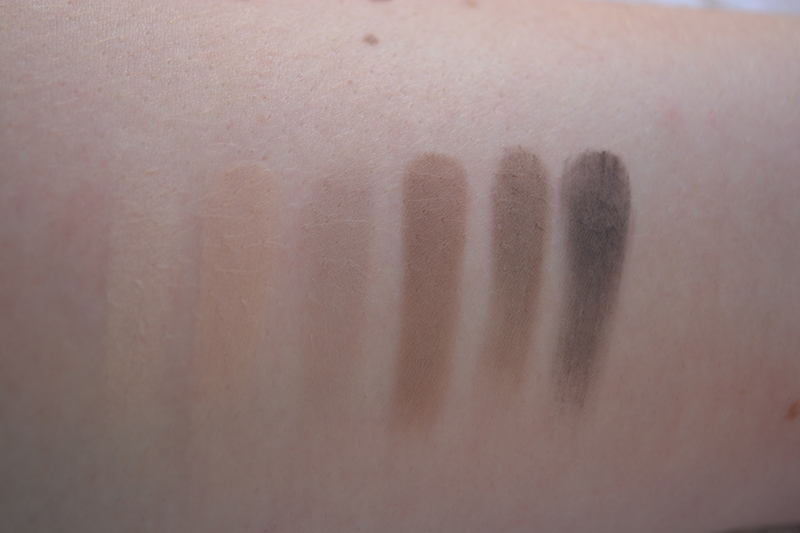 As with the first palette there are 6 shades, 1 satin and 5 matte, which range from light to dark. The satin shade is quite subtle so if you prefer matte shadows and the satin shade is putting you off this palette I wouldn’t worry too much as when it is on the lid it just adds a nice glow. Skimp is a light beige satin shade that makes a perfect highlight and inner corner highlight. It adds just the right amount of glow to lift a look. Stark is a matte warm toned pinky beige. Frisk is a matte neutral toned light taupe brown.I cannot decide if this leans more cool or warm toned. Cover is a matte warm toned almost muted milk chocolate brown. Primal is a matte medium neutral toned brown. As with Frisk I cannot decide if this leans more cool or warm toned. Undone is a matte neutral toned charcoal grey/brown. Everything I have read on beauty sites prior to ordering this palette suggested that it contained more cool toned eyeshadows but as you can see from the picture above and the pictures below this isn’t the case. The first Naked Basics palette is obviously more warm toned than the new palette, however I would not go as far as saying the new palette is completely cool toned. I can see myself getting a lot of use out of this palette. I like to keep either this or the first Naked Basics in easy reach so I always have some matte shadows to use with my more shimmery palettes. If you are wondering weather you need both palettes then I don’t think both are necessary, however if you are a neutral palette junkie like me then I would say to pick this up. 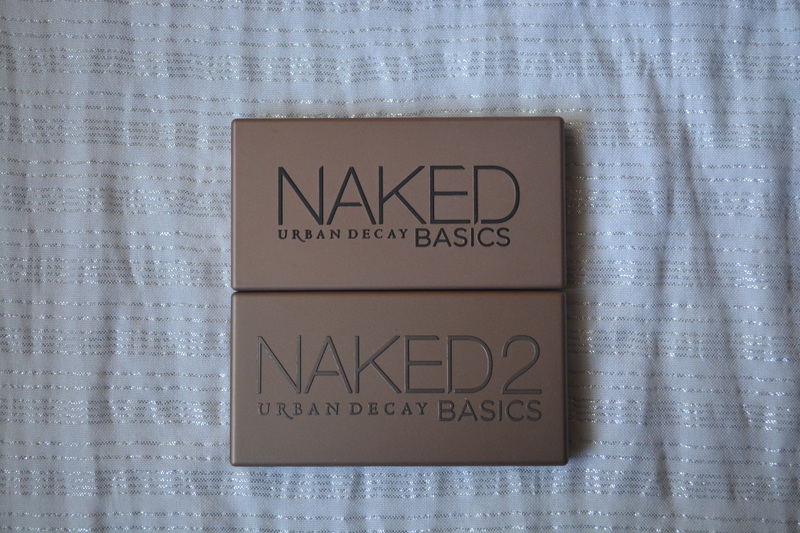 The Urban Decay Naked Basics 2 palette retails for £22 and is available from urbandecay.co.uk and a number of other retailers.